Iona Howard’s prints explore the notion of time and landscape through a contemplative exploration of surface. 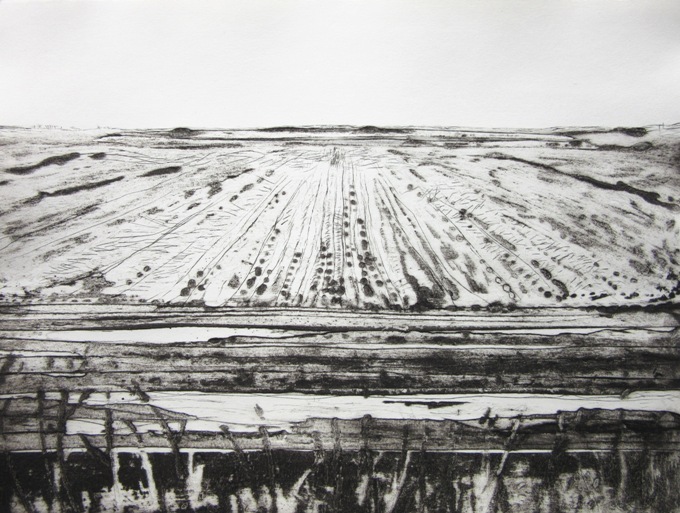 The sources of Howard’s prints can come from working in the open air or expressing landscape filtered through memory. 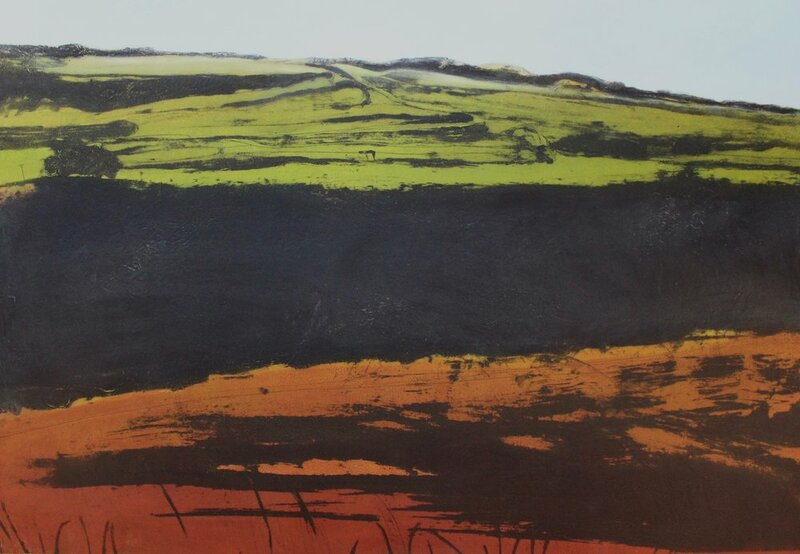 The physicality of her approach to the printing process makes the subject spontaneous and vibrant whilst capturing an intimate connection with the landscape. Howard is captivated by the ancient semi-natural landscapes typical of her native west Cornwall where a blurred line exists between nature and human activity. 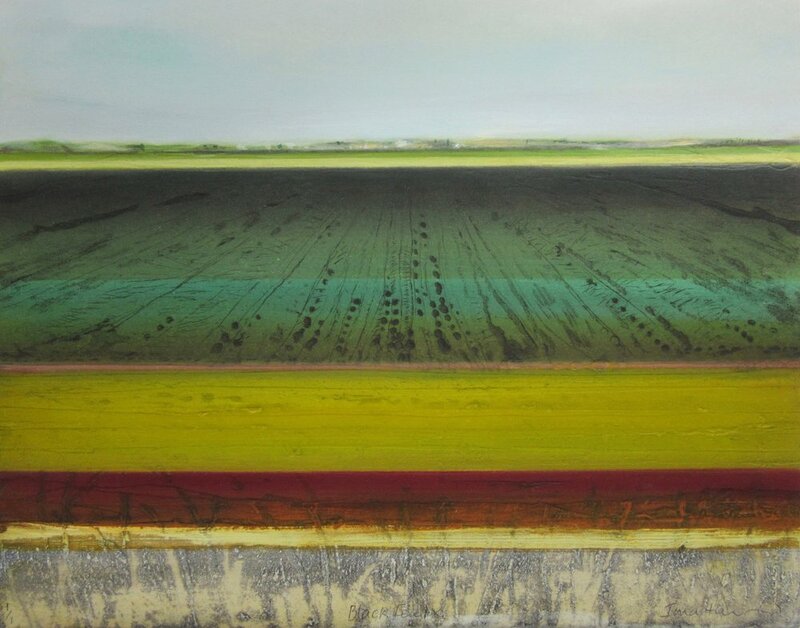 Recent works of the Fens focus on the meeting point of land, horizon and sky, their flatness altering the perception of distance. 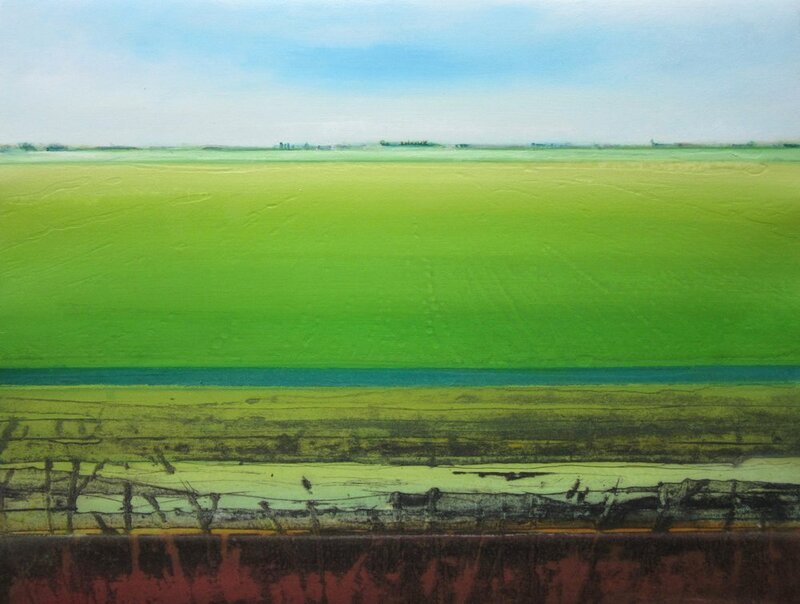 Howard’s work has gradually evolved from her monochromatic studies by introducing colour to reflect the Fens’ everchanging mood and light. She draws inspiration from sites which have a particular sense of place; the catalyst for her most significant pieces of work. Howard’s work has more recently been informed by a year-long collaboration with the Fenland Poet Laureate, Kate Caoimhe Arthur. Howard and Arthur have been working and walking together over the last four seasons in the fen-edge landscape that inspires them both. In repeated journeys around Cottenham and Wicken Fen, and more occasional forays into the deeper Fens, they have shared their practices, and each allowed their work to be in conversation with each other’s work. The process of articulating, to one another, the methods and rhythms of what at some level is instinctive and very private work, has in itself been valuable. Arthur’s poetry is displayed in the gallery amongst Howard’s prints, with the hope that visitors will see a conversation between the works, rather than a strict correlation between a single print and a single poem. Please join them both between 6-7pm on Thursday 15th March for a reading of the work alongside the prints and an opportunity to meet both artist and poet with their reflections on the process of making their art. This free exhibition runs from 3rd - 25th March 2018. We are open Monday to Saturday from 9am to 5.30pm and Sunday from 11am to 5pm.